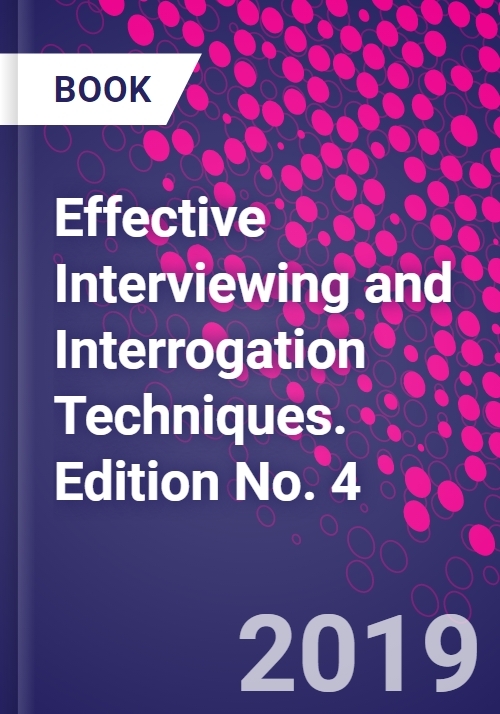 Effective Interviewing and Interrogation Techniques, Fourth Edition, answers the question, 'how do you know when someone is lying?' In addition, it also provides a guide for interviewing probable suspects and interrogating likely perpetrators on techniques and tradecraft and presents forensic assessments based on psychophysiology and non-verbal behavior. Topics discussed include the Morgan Interview Theme Technique (or MITT) and the Forensic Assessment Interview (or FAINT). Other chapters address techniques for interviewing children, the mentally challenged, pre-employment interviews, aggressive behavior, and how to deal with angry people. The book concludes by presenting future methods for searching for the truth.